The American Vetch is a bright fuschia colored flower. These particularf blooms were blue. 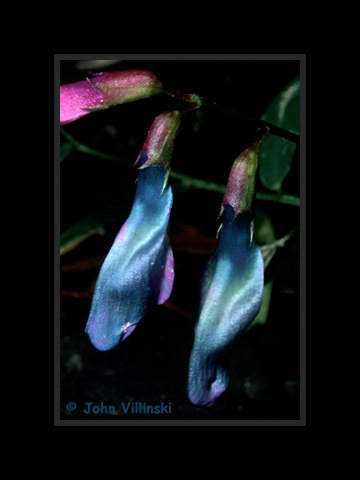 Many flowers change color after pollination, and I assume that this is the reason for the coloration seen here. Taken 2001 in the White Mountains near Greer, Arizona.